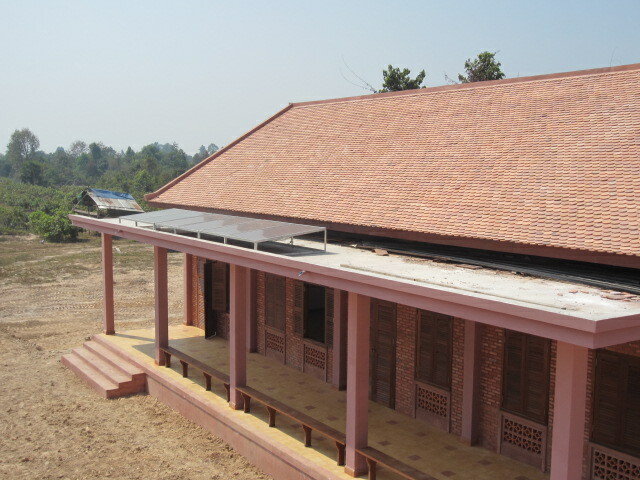 Meet Bayon Junior High School, a public school that just opened in October 2013 near the Angkor Wat World Heritage Site in Cambodia. 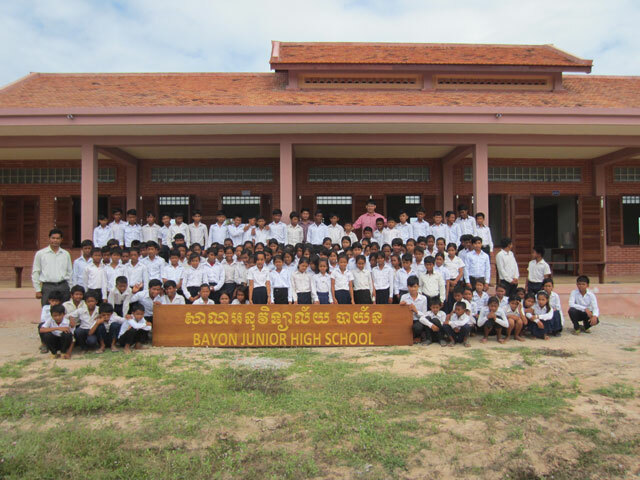 Currently 130 plus graduates from five elementary schools in the vicinity study at Bayon, but before this school, the vicinity had no junior high schools, and students had no other options but to commute to a city about 10 kilometers away. Rainy season made the children’s commute difficult; so did the danger of traffic accidents, and some were forced to stop attending the school in the city, and others simply gave up on continuing education upon finishing elementary school, such was the ordinary occurrence in the area. To put an end to the situation, an NGO in Cambodia called the Joint Support Team for Angkor Preservation and Community Development (hereafter JST) initiated organized efforts, starting from fundraising to the actual school building construction. Nikkei Shimbun (2014/02/17 evening edition) printed an interview with a Japanese senior architect, Ms. Yoko Koide about her involvement in the JST. Architect Ms. Koide was once collecting used notebook PCs to support the students’ desire for learning. 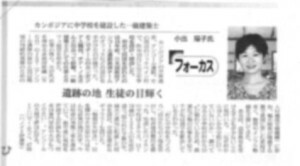 Incidentally, that was when our ARUN partner and longtime friend of Ms. Koide’s, Mr. K contacted her. After talking with her, Mr. K suggested ecologically low impact solar power to supply energy to Bayon Junior High, and introduced Lighting Engineering & Solutions (hereafter LES), one of ARUN’s investees. The LES not only engages in the sales of solar panels to off-grid areas but also in training local residents who can check and maintain the panels on their own after purchase as its mission. In the future, the LES hopes to bring the students to become able to maintain the solar panels installed at Bayon Junior High.